Welcome to A1 Asbestos, LLC, Washington’s locally owned and operated asbestos testing and treatment company. Since 2010, we’ve been keeping Wenatchee’s homes and businesses safe and up to code with our asbestos, mold and lead removal services. Call today to learn more about what we can do for you. 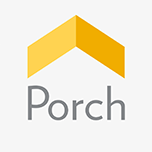 Whether you’re working hard at the office or relaxing at home, you never want to have to worry that the very structure that protects you from the elements and provides you comfort could also be potentially endangering your health. If you’re worried that there might be a dangerous amount of asbestos on your property, you’ll want to hire an asbestos testing and removal service that is professional, effective and courteous. For asbestos and mold removal in Wenatchee Valley, WA, that treatment service is A1 Asbestos, LLC. We’ve been proudly serving the area since 2010, and we look forward to being a part of the community for many more years to come. Since we first opened for business, A1 Asbestos, LLC has established itself as an insurance preferred and accepted testing company, and we’re licensed, bonded, certified and triple insured. We’re also known for going above and beyond in our customer service, taking every step to ensure that our customers get all their questions answered and all their concerns addressed. We perform asbestos inspections, asbestos abatement and removal, air quality testing, mold removal, mold testing, mold air testing, lead testing and removal and mold remediation in Wenatchee Valley, WA. Here are just a few reasons to consider doing business with us. We are a proud locally owned and operated business in Wenatchee Valley, WA. We’ve built a reputation over the last five years for excellent customer service. We are fully licensed, bonded, certified and triple insured. We provide asbestos testing and treatment as well as many other mold and air quality services. "We are very happy with the work that A1 did for us on our 100+ year old Twisp home with asbestos in the walls/ceilings. They responded quick..."
"A1 is a great company to work with! I really appreciate their sense of urgency with my clients home. 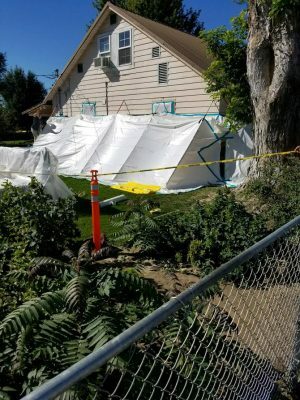 They went out of their way to complet..."
"JRCC has used A1 on multiple abatement projects, they are always very quick to get us scheduled and made a priority when we need emergency a..."
"We have been using A1 Asbestos for many years without complaint. We always receive excellent customer service. Tim is very responsive when e..."
"We use Tim and his crew for all of our testing and abatement jobs. They do nothing but the best quality work and at affordable prices. They ..."
Whatever your asbestos or mold worries may be, call A1 Asbestos, LLC today and let us take care of them for you.